A similar study of the Fortune 500 telecommunications company MatrixGlobal, found executive coaching resulted in a 529% ROI. As the understanding of executive coaching grows and people begin to see it as an healthy investment, it just may move to a high-growth trajectory. —Gerard O’ Donovan, CEO, Noble Manhattan Coaching, United Kingdom. Ten years ago, most companies engaged a coach to help fix toxic behavior at the top. Today, most coaching is about developing the capabilities of high-potential performers. As a result of this broader mission, there’s a lot more fuzziness around such issues as how coaches define the scope of engagements, how they measure and report on progress, and the credentials a company should use to select a coach. In the seventeenth century, the French statesman Cardinal Richelieu relied heavily on the advice of Father François Leclerc du Tremblay, known as France’s éminence grise for his gray monk’s habit. Like the famous cardinal, today’s business leaders have their gray eminences. Today’s advisers aren’t monks bound by a vow of poverty nor Al . They’re usually called executive coaches, and they can earn up to $3,500 an hour. The Bay Area’s Concierge Chaplain is another twist on this story, overtly adding spiritual (not religions) competencies back into the mix. After all, coaches essentially lead individuals on a path of self-discovery which then helps them resolve both professional and personal crises. The value of self-discovery is that the individual remains in the driver’s seat, but can access the wisdom, experience and perspective of the coach. Sometimes, CEOs and senior executives come under tremendous pressure during financial crises or a perfect storm of organizational, personal and global circumstances each with their own timelines and critical points. “A coach can help leaders find solutions by widening their perspective, guiding rediscovery of underutilzed resources and managing morale during a crisis,” says Babu of OD Alternatives, India. How do they merit their money? To understand what executive coaches do to merit that money, HBR conducted a survey of 140 leading coaches and invited five experts to comment on the findings. In their report, the commentators had conflicting views about where the field is going—and ought to go—reflecting the contradictions that surfaced among the respondents. Commentators and coaches alike felt that the bar needs to be raised in various areas for the industry to mature, but there was no consensus on how that could be done. They did generally agree, however, that the reasons companies engage coaches have changed. Ten years ago, most companies engaged a coach to help fix toxic behavior at the top. Today, most coaching is about developing the capabilities of high-potential performers. Do companies and executives get value from their coaches? When HBR asked coaches to explain the healthy growth of their industry, they said that clients keep coming back because “coaching works.” Yet the survey results also suggest that the industry is fraught with conflicts of interest, blurry lines between what is the province of coaches and what should be left to mental health professionals, and sketchy mechanisms for monitoring the effectiveness of a coaching engagement. 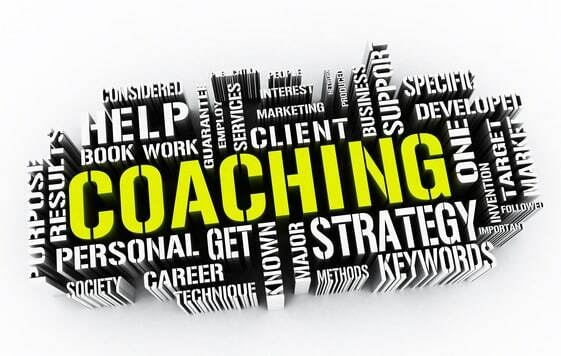 Coaching as a business tool continues to gain legitimacy, but the fundamentals of the industry are still in flux. In this market, as in so many others today, the old saw still applies: Buyer beware!